While doing some research on something else, as often happens, I discovered an interesting article about Alabama from The Toronto Sunday World November 5, 1913. If this farm were to be cut into city lots, says The New York Sun, there would be 400,000 of them, enough to build a city of 2,400,000 inhabitants, figuring six to each family. Two hundred miles of wire encloses the farm. It takes the man who inspects the fence five days to ride around it on horseback. To properly care for the farm 1200 men are employed, who with their families, make a population larger than the average Alabama city. Two hundred and thirty plows are always in use. All the farm is not under cultivation. Just now only 6000 acres are planted. In an ordinary season this area yields 2500 bales of cotton, 25,000 bushels of corn, 12,000 bushels of oats, 600 tons of hay, 500 tons of alfalfa and 13,000 gallons of syrup. Besides all this there on the farm 600 head of cattle and nearly as many hogs. Mr. Thompson is called the king farmer of Alabama . There are cattlemen in the west and in other parts of the world who own more acres, but they are merely pasture and not farms. A little digging in old records and I discovered the following about Joseph Oswalt Thompson from The University of Southern Mississippi – McCain Library and Archives. Joseph Oswalt Thompson was born on February 2, 1869, near Tuskegee, in Macon County, Alabama. He was the son of William Phillip and Mary Watson (Jordon) Thompson. 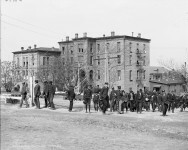 Thompson was educated in Park’s High School and the Alabama Military Institute. Thompson was a farmer with large land holdings; he specialized in cotton production and was the largest cotton planter in Alabama at one time. He was an organizer of the Alabama Land Congress, the cotton holding movement in 1915, and was vice-president of the American Cotton Association in 1926. Joseph O. Thompson was active in the Republican Party in Alabama, serving as chairman of the Republican committee of Macon County; chairman of the State Republican committee for Alabama; Republican nominee for Governor of Alabama in 1910; and Republican nominee for Congress from the Birmingham District in 1918. Thompson also held other important positions with federal agencies, such as Deputy U. S. Marshal, Deputy U. S. Collector, U. S. Commissioner, Postmaster at Tuskegee, Alabama, and Deputy U. S. Collector for Internal Revenue. Joseph Oswalt Thompson married Annie Magruder of Tuskegee, Alabama, daughter of William Reardon and Mary Ann (Perry) Magruder, on April 13, 1888; they had eight children. This collection consists of a six-page typewritten letter, dated April 2, 1926, from Joseph O. Thompson to his cousin Mary Virginia Lee, of Lynchburg, Virginia, dealing mainly with family history. 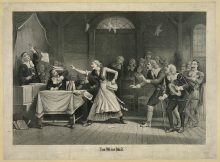 For her information, he details her Alabama relatives, mostly on his mother’s (Mary J. Thompson) side, although sometimes it is not always clear to whom he is referring. Some of the names Thompson mentions are: Dr. Henry Reese of Marengo County, Alabama, and his son Judge Henry Reese; Colonel Benjamin Winston Walker; General Thomas Simpson Woodward; John Howard Parnell (a brother of Charles Stuart Parnell); Charles Winston Thompson; William Watson Thompson; Dr. Eugene Calloway; Allan J. Krebs; and Congressman Henry Bascom Steagall. Thompson concludes the letter by listing his own accomplishments. Joseph Oswalt Thompson died August 5, 1933, and is buried in Tuskegee Cemetery in Macon County, Alabama. How much of the farm is intact today and does any family member still own the land? Those Canadians may be more geographically illiterate than we Americans! Tuskegee is not, “just outside of Birmingham”. Birmingham is not close to the black belt in Alabama. Is it possible the author meant Montgomery? Yes. I am J. Thompson’s great grand-daughter. The home was completely dismantled, and rebuilt exactly in Montgomery’s Old Town. It use to be a Welcome center, but now is private. The curator at Old Town has let me in there so I could show it to my children so he might extend that pleasure to someone that is interested….I don’t know. My mama use to slide down the banister when she was a child! Thanks Cathy. There is so much to learn about our state and we loved finding the stories. Linda Rogers Fryer do you know if this home is still standing? It’s in old Alabama town now and a historical monument but still standing. Lisa Brubaker, I hope you read all the history of this home. 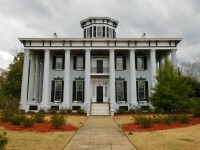 It is located at Old Alabama Town in Montgomery but it is not part of their tour. It is part of Old Alabama Town, and my office (Brown Studio Architecture) recently moved in. My aunt’s grandfather grew up in this house. I love the house and love the history of it! The home picture above is now located in Old Alabama Town, in Montgomery. There is a very interesting story as to how it was acquired by Landmarks Foundation. Jimmy L McGhar, thought you might enjoy reading. Thank you , I did. Had many years of enjoyment in that house with my dear friend Annie Lee Foy Thompson. She was such a delightful person. I would be curious about when Mr Thompson aquired his land. Was it before or after the war? Since he was born after the war, I would assume after. There is no mention of him inheriting. I am J.O.Thompson’s great grand-daughter. No, he wasn’t a carpet-bagger! ha ha! His father, William P. Thompson, was born and raised in Alabama, lived many years in Tuskegee, and was a farmer, merchant, and banker of Macon County. 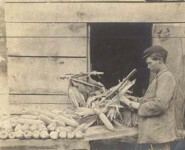 Jodie (as his family called Joseph O. Thompson) was really interested in land and farming and had a lot of good ideas. 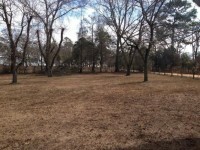 As soon as he graduated from high school at the age of 18, he bought his first parcel of land…and eventually bought and sold more land than anybody in Alabama at that time. He farmed vast amounts of it, but also brokered large sales. Probably his greatest moneymaker was when he sold a large piece of land (in present Fairfield) to U.S. Steel. At the time, U.S. Steel was the largest business enterprise ever launched. In 1916 he raised more cotton than had ever been raised by one person in the state in one year. He also found time to do a great deal of official work. He was deputy U.S.Marshal, a United States commissioner for 2 years and a postmaster for Tuskegee. He moved to Birmingham when he was appointed US Collector of Internal Revenue for the districts of Alabama and Mississippi. He held that position for eleven years during the administrations of Roosevelt and Taft. Teddy Roosevelt nominated him for Secretary of the Interior, even with his lack of a college degree, but on his way to meet the train to Washington DC, the car he was riding in had a terrible wreck and he was badly hurt. After that he moved to his large plantation in Roba and devoted the rest of his life to farming. Sadly, I did not inherit his knack of making money!!! Holly: Interesting narrative. Annie Z Magruder was my great aunt–her sister Georgia Magruder Abercrombie was my great grandmother. Thanks for sharing. This was a city home in Tuskegee, not a “country plantation” home. This home is still standing, as Geoffrey Stough mentioned. It was moved to Old Alabama Town, and is now part of that. 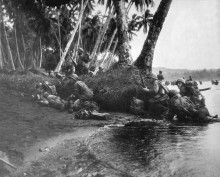 It was moved from Tuskegee where it was located. Judge Thomas S. Tate owned the home before the Thompson family acquired it. The home is a mixtures of architectural designs and you can find many photos of it by googling The Thompson House & Montgomery, AL. No Tuskegee is NOT located just outside of Birmingham. It is in Macon County, many miles, and 3 or 4 counties away from B’ham. The home was located in the town of Tuskegee and from what I read someplace, it was located near the courthouse, so it was near the downtown area. One of late husband’s ancestors lived in the home for a short while, since she was married to Judge Thomas S. Tate. The old home is in good repair and has housed a number of businesses. It was moved by a group of area businessmen. There is a historical marker in front of it. Thank you for your wonderful update! The article was published in Toronto, Canada in 1913. so I imagine they didn’t know much about Alabama’s geography. It is amazing the story about the house went so far away from home. Alabama Pioneers , yes, that is amazing. Thanks for sharing your stories about Alabama with us. I plan to visit the Thompson House and hope to go inside to see where my hubby’s ancestor, Martha Crittenden Terrell Walker Tate, lived for a short while. I know it will be like walking back into time…and history. I have downloaded photos of it from the internet but nothing is like going to a place in person to soak in the realness of place and time. I have found that most old homes have a certain ‘smell’, maybe musty, but certainly one that never goes away. Auburn University in located just on the corner of the old farm. Founders of the college had sharecropped the land & when none of the 5000 chickens they planted produced they turned to erecting the agricultual center. Several years later they realized they had planted them too deep & upside down! An eagle was seen carrying off one of the seed chickens which has culminated into a tradition at football games-the grilling of the chicken. History you can sink your teeth in! Um, isn’t that properly called a plantation? The last Tuskegee Thompson owner was Annie Lee Foy Thompson, Mrs Grover Cleveland Thompson, brother of Joseph Oswalt Thompson. Their brother Winston Thompson was Congressman from Alabama and is buried with many other Thompsons in Tuskegee Cemetery. Joseph Thompson’s wife’s Magruder family was also very substantial in Macon County. Daughter Josophine married into the substantial Walker family of Milstead, that plantation later became the EV Smith Experiment farm of Auburn University, along I-85 towards Montgomery. 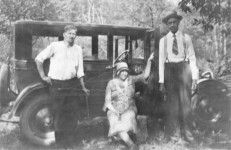 Annie Lee Foy Thompson was an accomplished vocalist and pianist from Tybe Island on the coast of Georgia. He family was quiet substantial also. Joseph Oswalt Thompson is my 3rd cousin twice removed. He was born 2-2-1869 in Tuskegee, Ala. In 1900 he moved to Roanoke, Randolph Co. Ala. From about 1910 to 1930 he lived in Birmingham. In 1930 he was living in Warrior Stand, Macon, Ala. He died August 5, 1933 in Roba, Alabama. His mother was my 2nd great aunt, Mary Watson Jordan Thompson. Her parents were my 2nd great grand father Samuel Jordan and Sarah Dabney Walker Jordan from Campbell, Virginia. The home is now located on Madison Ave. in Montgomery, Ala. about 8 blocks west of where I now live. The actual plantation probably covered parts of Randolph, Lee and Macon counties since this article says it would take a man 5 days on horseback to ride around it. I wish I knew the names of the people on the porch. They say President William McKinley visited this house. I know the names of the people on the porch. I am Jos. Thompson’s great grand-daughter and my mama has that original photo hanging in her house. On the back are the names of the people. Are you on Facebook? Mama just posted all the names. You and Mama and I are cousins, I guess. 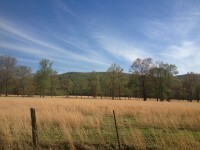 Hi Holly, I read your posts on Alabama Pioneers about the Joseph Oswalt Thompson home. I am on facebook as Warren Jordan in Montgomery, Alabama. I could not find you however unless you live in Pennsylvania. I have one of the original copies of this photo hanging in my hall in my house, the picture is dated 1902 and the following inscription on the back reads Left to Right. .W.W. Thompson; Mrs. ?? ; Wm. Tibbets; John Conner, Jr. Mrs W.W. Thompson with Louise & Gautier;, Mr, & Mrs ?? Clerk of Hamilton Hotel, Washington, D. C.; Edith Thompson (girl); Benjamin W. Walker; (U. S. Marshall Mid Dist ALA.;Mrs. F. H. Gillett (wife of Congressman; Mrs. Joseph O. Thompson (my grandmother) and daughter Grace (my aunt for whom I was name ) Mr. Oswalt; Mr. ?? ;Congressman Frederick H. Gillett; Wetfield , Mass. ;Joseph O. Thompson; U. S. Collector Internal Revenue, Birminghm, ALa.;Congresman Winfield S. Kerr, Monroe, Ohio. The gathering was for either the visit of President McKinley or for the funeral of Congressman Charles Winston Thompson’ who died in Washington D. C. March 19, 1904 He was my great uncle. He is buried in the Tuskegee Cemetery. Always enjoy learning more about our state history. Thank you for your post. Very interesting !! Thanks for sharing! 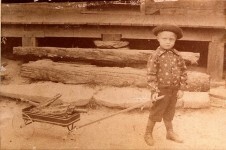 Joseph Oswalt Thompson is my Great Grandfather. My Grandfather is William Magruder Thompson and my father is Joseph o. Thompson. Ashley, you are my second cousin! My great grandfather was Jo. O. Thompson, and your grandfather and my grandmother (Lois) were brother and sister, so that made your daddy and my mama(Grace Krebs) 1st cousins, which makes me your second cousin. Your daddy and my mama knew each other well and were close to the same age. I went to a wedding in Old Alabama Town at a quaint little church … It was beautiful ! I grew up in Lee county. I drove for a construction company out of Auburn, when I seen the house I immediately recognized it. And no Tuskegee is not close to Birmingham. And yes that farm I rather large. If I’m not mistaken, Tuskegee University is built on part of that property, correct. I wonder how this is true. I say this because my family(Rucker) was said to have come from the largest farm and plantation in the world. Its now known as fort rucker. I don’t know maybe it was the largest before they took over it for the war and after this farm became the largest. Not sure but funny they are both in Alabama. My search continues thanks for the info. I’m not sure I would consider Tuskegee “just outside of Birmingham”. So, this photo of their homestead was from 1869 the same year he was born or did I misinterpret that? Beautiful home. Love the house – Wow! This house is now located on Madison Ave. in Montgomery. It was once in the Judge Thomas S. Tate estate and was moved to Montgomery after the Thompson family moved. 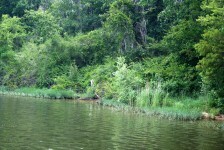 I was told that it was actually located within the town of Tuskegee although I have not seen anything to prove it. My hubby’s ancestor, Martha Crittenden Terrell Walker Tate, was married to Judge Tate before she moved to Dale County after Judge Tate’s death. The house is still in use as offices and is near the historic district in Montgomery. The info presented with this is short of accurate but I see where you posted it was written by someone out of country. I have photos of the house as it is now and some interior views as well. My hubby was no direct kin to Judge Tate but was kin to the ‘Walker’ line, Martha’s 2nd husband, who was a lawyer in Auburn & was shot in 1858. Helen Taylor Andrews Great history! If you are interested , send us some photos and we will update the story on the website with the more recent photos. You can email us at [email protected] – Thanks! Bettye McCool Johnson, Martha Crittenden(dau of Robert Greene Crittenden & Nancy Crowder) married Peter B. Terrell in Macon Co., AL. 16 Oct. 1845by John C. Carter, M.G. Peter B. & Martha had 2 children: Robert Henry, b. 1847 & Anna Blakey, b 24 June 1848, d. 3 June 1849. Peter B. Terrell was born in Wilkes Co., GA., 11 May 1821 and d. 15 April 1849. He was the son of Henry Terrell & Nancy Blakey, of Wilkes Co. GA. After Peter B. Terrell died, Martha went on to marry Jethro Walker, and he died in 1858 from a gunshot to the head in Auburn, and she married Judge Thomas S. Tate, in Macon Co., AL. Judge Tate was the son of Samuel Campbell Tate & Nancy Ann Stribling. He was bron in Hall Co., GA abt 1810 and was a Judge of Inferior Court. 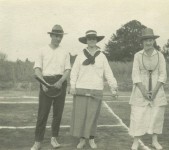 He had previously m. Mariah Louise Reed, & Margaret Marshall. I have done little work on the Terrell name other than what I have written above. I haven’t worked on my family lines since before my hubby died 3 years ago. 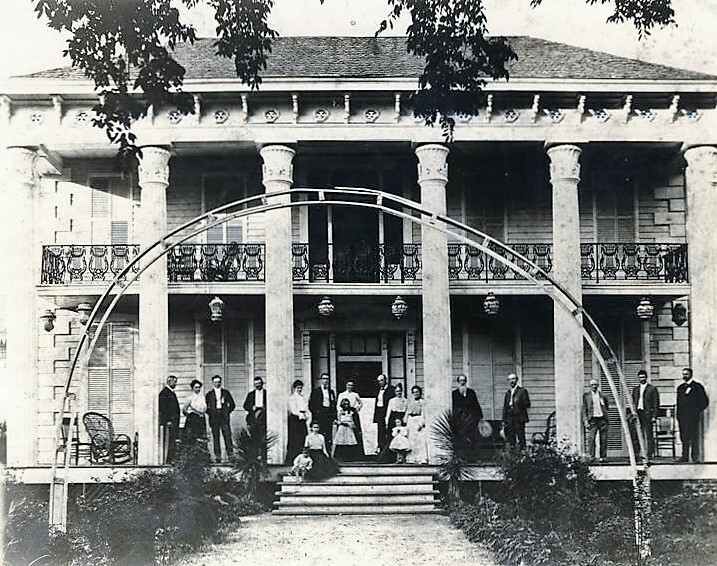 I saw someplace a partial photo of the ‘Terrell ‘ plantation house & would like to know more about it. This is in no way a farm but a plantation, estate built from the exploitation of poorest paid black day laborers, share croppers or earlier slave labor. According to the story the farm started in 1869; years after the war was over. I don’t see the mention of slave labor at all. In 1869 people were free to work, live, worship were they wanted. The workers were definitely free to leave if they wanted. Complainers can’t have it both ways, complain about life before emancipation and then complain about being paid. The house is older. It was purchased, dismantled, and sat in a warehouse in Georgia. Landmarks Foundation purchased the home and had to put the puzzle pieces back together. 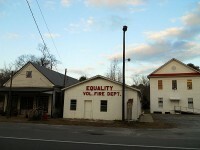 It is part of Old Alabama Town and is rented by a business. 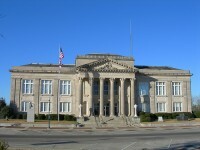 It sits on the NE corner of Madison Avenue and N. Hull Street in Montgomery. Wow. I was wondering how they “moved” it! Located now at 401 Madison Avenue in Montgomery. Thankful it was preserved and reassembled in Montgomery. Never knew about this stellar place. Wonder what became of this farm acreage? 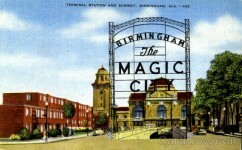 What part of Birmingham did it become? Tuskegee isn’t near Birmingham…it’s close to Auburn area. Thank you Robbie! We enjoy finding those unknown or little-known stories.